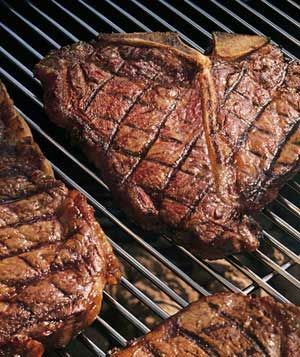 A steak can take between 10 and 30 minutes to cook on the grill, depending on the thickness of the cut. Filet mignon and T-bone cuts, which are thicker, take the longest. Speaking of grills, Henry Ford invented the charcoal briquette in 1920, with help from Thomas Edison. Join us on a Steak Night. View the What’s On page for details.